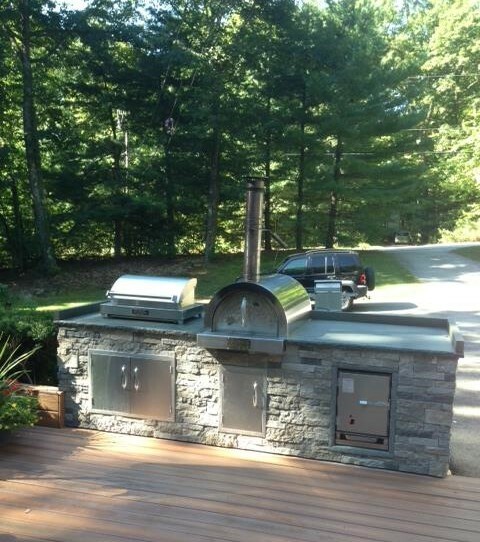 See how Mad Dog built in his SmokinTex model 1400 here. 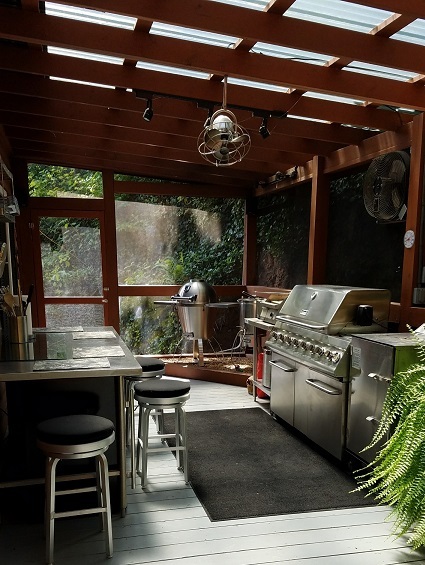 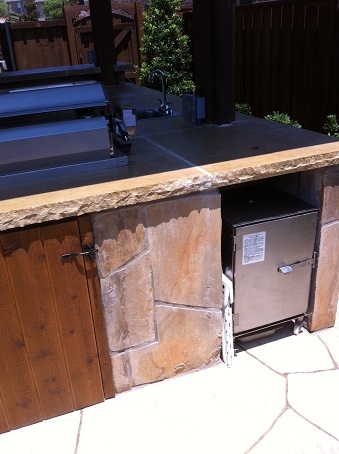 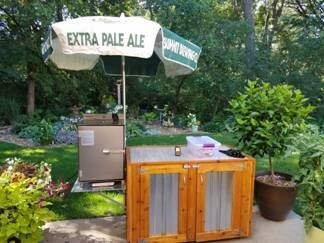 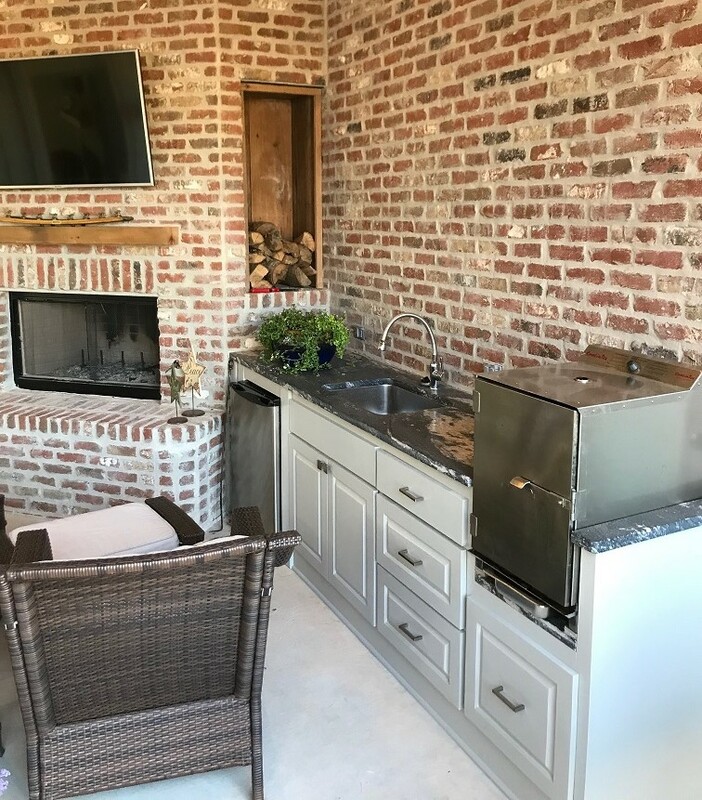 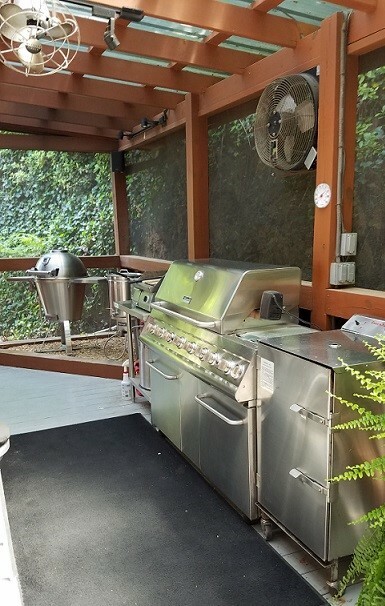 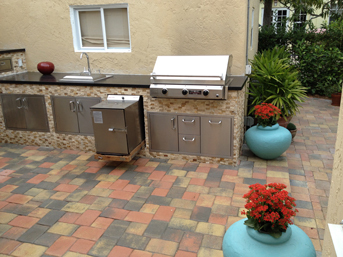 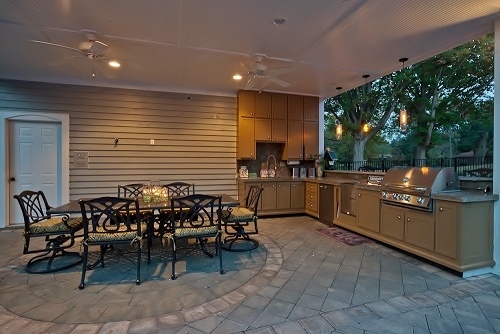 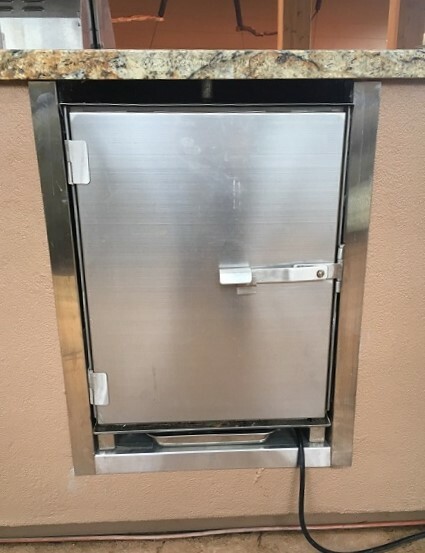 Beautiful outdoor kitchen from Shane S.
SmokinTex Model 1400 Built-In Stand by Tim O. 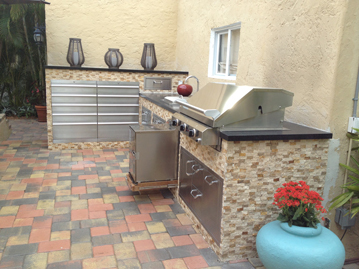 See what J. Kurzner says about his built-in here on SmokinTex Forums. 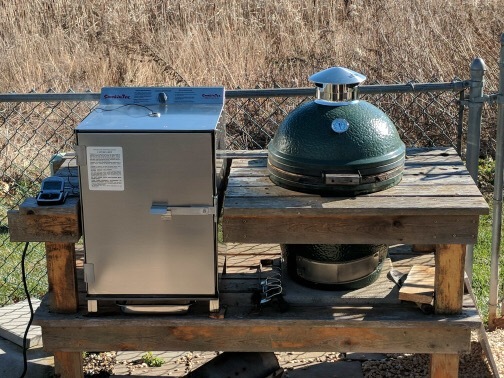 Photo by Bob C. Photo by Kevin L. SmokinTex Model 1400 on side shelf of cabinet. 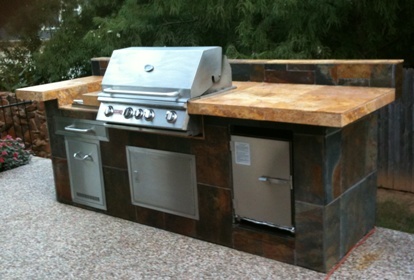 Built-In SmokinTex Model 1400 with Top Hole by Tim. 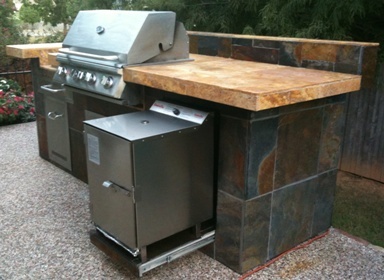 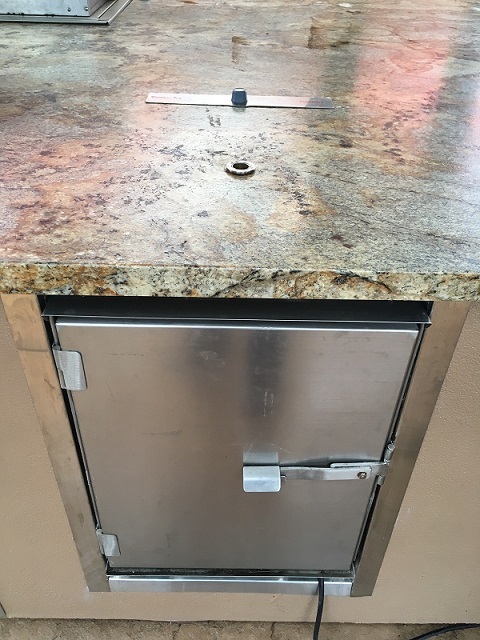 SmokinTex model 1400 on wheels with smoke hole built in top of counter.